Today my parents were visiting me from up North. We literally could not have wished for better weather it was absolutely perfect. Sunny but with a light breeze, mmm. We did the classic Bristol tour which included Ashton Court to see the deer, the suspension bridge, Clifton Village for coffee and cake (mine was a soy latte and vegan lemon cake – no photo I ate it way too quickly for that :p), Brandon Hill and Cabot Tower. They enjoyed seeing the sights, well lets face it, who wouldn’t?! Bristol is so beautiful I absolutely love showing people around. My folks were due to leave around 5pm and as soon as they left I was hurrying to make some Mango ‘Nicecream’ to share with you guys as I was hoping to get my long run in before dark. Want to know what’s not a good idea? 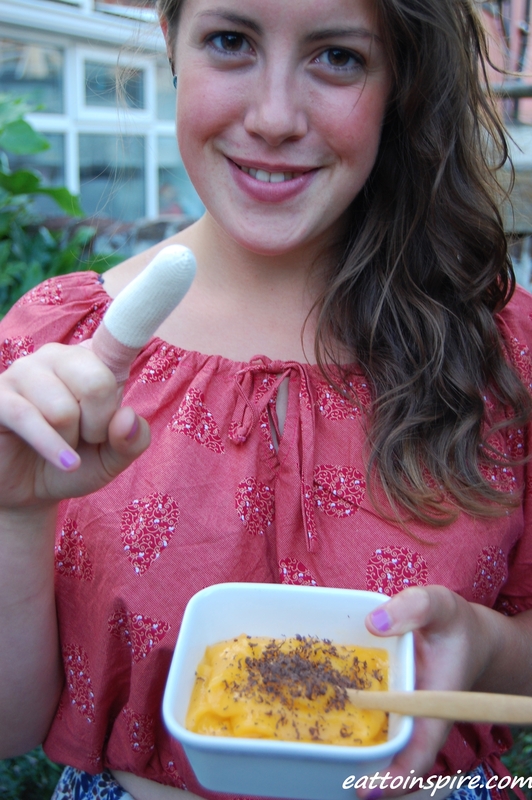 Dislodging frozen mango from your blender with your finger. Nope, so not smart at all. I totally made this absolute rookie error whilst accidentally pressing the on button for my blender. I did not know so much blood could come from one finger. Wow. I was pretty darn embarrased so I sheepishly called to my housemate, ‘Brett… I think I just blended my finger.’ He was a legend – thanks dude. Lifesaver. He sorted me out, called my parents who made a swift turnaround to come and save their baby, thanks ma and pa. I was a brave little soldier. I didn’t cry – I laughed. At myself and just because. In situations when most people would cry I generally laugh, I am not sure why I guess it is just my coping mechanism. The lovely doctor was awesome, she gave my wound a very thorough wash which was to be honest the worst part of the whole ordeal. She said I’d been lucky that I had missed all of my tendons. She patched me up with a few steristrips and a big bandage, offered me some codeine (uh, yes purlease) and sent me on my way. Just because I am so dedicated to you guys, I finished my mango ice cream when my parents brought me home! So, without further ado, here is the recipe.. 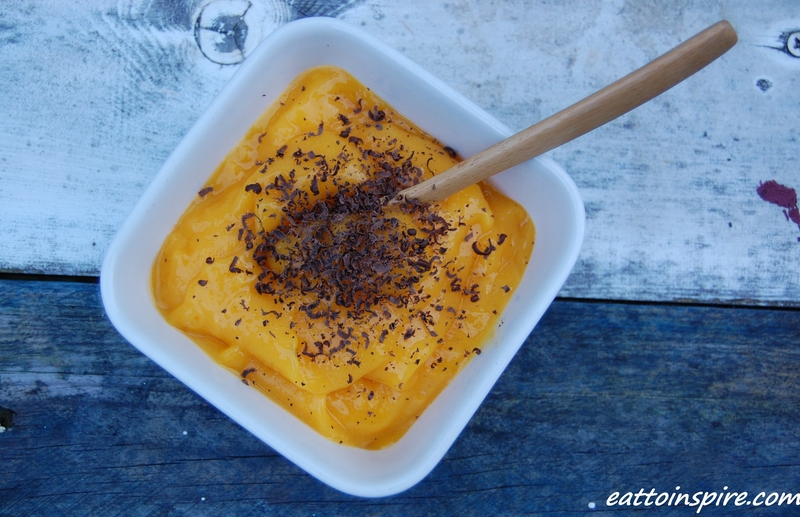 Blend the frozen mango until delightfully smooth. Top with grated chocolate if your heart so desires. Be very cautious with lovely fingers and blending machines, they really don’t make a good match. My mango nicecream. So yum. Oh, the things I do for you guys… My new accessory. This is also my ‘mmmh yeah I’ll have some codeine’ face. So I know I promised to tell you a story about my parents tonight but that shall have to wait until tomorrow. I know the suspense must be killing you 😉 This girl is codeined up to her eyeballs and needs to watch a silly film and drink copious amounts of hot chocolate. I really hope you guys have had a beautiful weekend.